As one of the least understood numbers Loftbuyers deal with, their credit score confuses many would-be buyers. So, what does your credit score really mean? Firstly, understand that a credit score is not a credit score is not a credit score. Not only can your score change from scoring company to scoring company, within a single credit bureau your score for auto insurance or to buy a television, for example, may differ from your score to get a Loft mortgage or a car loan. The three main credit bureaus, Experian, TransUnion and Equifax, offer the FICO score for consumers. FICO stands for Fair Isaac Corporation and a FICO score means a number determined using the calculating software provided by Fair Isaac. Your FICO score is the one lenders look at to determine if you’re credit worthy for a Loft loan. Using a snapshot of your current outstanding debt, open credit and a variety of other factors, FICO computes a number between 300 and 850 that comprises your score. Typically, the higher the score, the lower the risk. When your score differs between the three credit-reporting agencies, the variances stem from the specific information reported to that company. So, at one company your score could be 685 and at another it might report as 725. Some lenders take an average of the three scores while others use just one to determine when to offer you credit. Factors that impact on credit scores include your credit card utilization, payment history for bills where companies report, derogatory marks (accounts that may be in collection, bankruptcies, judgments and liens), the age of your credit history, the total number of credit accounts you have open and the number of credit inquiries you have. Of these, credit card utilization, payment history and derogatory marks have the highest impact on your score. The age of your credit history has a lower impact on your score, and your total accounts and credit inquiries impact the score to a lesser degree. Some items impacting on credit scores are in your control while others may not be. For example, your open credit card utilization reflects a single moment that the card issuer reported to the bureaus. So, if charged a large transaction, but paid it off the end of the month, your credit score could reflect either the high usage or the paid off percentage depending on what time of the month it was reported. On-time payments typically report at the same time each month. Making certain that you pay bills on time helps keep your score higher. Just one or two late payments make a significant dent in your score. Setting up automatic payments from the bill-pay option on your bank account takes away some of the risk of a lower score if you’re busy or forgetful. You can’t always control the impact from the average age of open credit lines, especially if you’re young, so, once you open a credit line and pay it off, closing the account may not be in your best interest. Consider keeping your oldest line of credit open, even if you don’t use it. 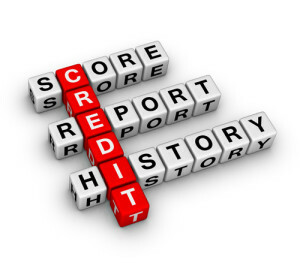 Beware of hard credit inquiries. Every time you apply for an auto loan, a student loan, a business loan, personal loan, credit card or mortgage a hard inquiry point adds to your score. Multiple hard inquires indicate to creditors that you’re desperate for credit. If you’re planning to purchase a Loft, avoid buying a car on credit or opening credit cards in the several months or even the whole year ahead of applying for a Loft loan. While you do not have the right to a free credit score, the Fair Credit Reporting Act (FCRA) requires that each credit reporting company—Equifax, TransUnion or Experian—provide a free copy of your credit report once every 12 months, upon your request. Since your credit report does not contain your score, you may not know exactly what might hinder you from getting credit, but it offers you the opportunity to correct errors and to request a review of items you do not believe are yours. On the other hand, you can pay to receive actual credit scores through a variety of providers. Some programs offer free scores (although not necessarily the FICO score) and allow you to track your progress over time with charts, graphs and suggestions for improving your score. If you need to improve your score to be pre-approved for a mortgage, start now. Don’t wait.